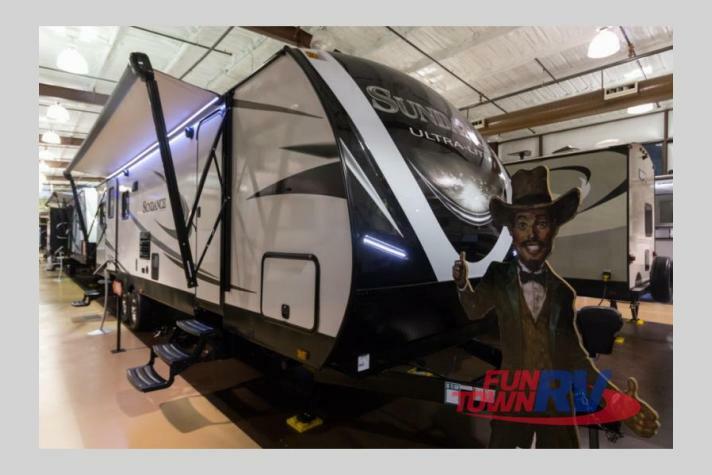 It's time to take your camping up a notch in this Heartland Sundance XLT 283RB travel trailer. 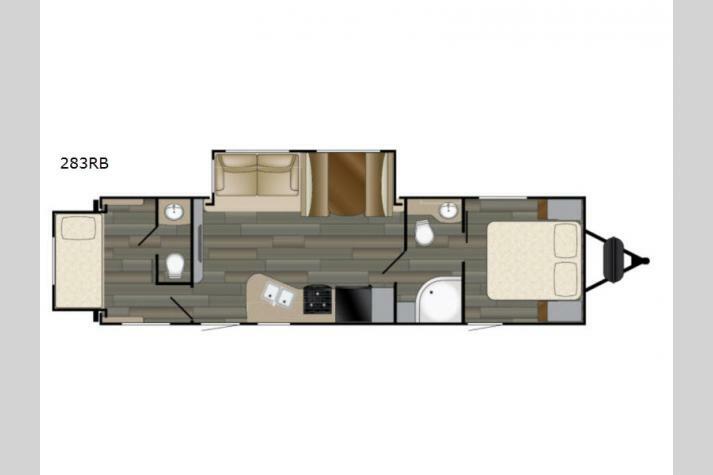 From the rear bunkhouse, bath and half, and dual slide outs to the dual entry, you can't go wrong! As you enter the main entrance to your left there is a private bunkhouse. 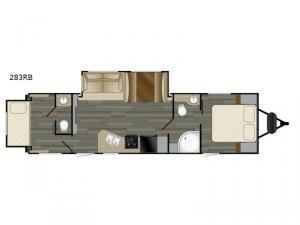 Inside you will find a rear slide out set of bunk beds, storage areas, and a half bath. I'm sure your kids or guests will enjoy their own space. 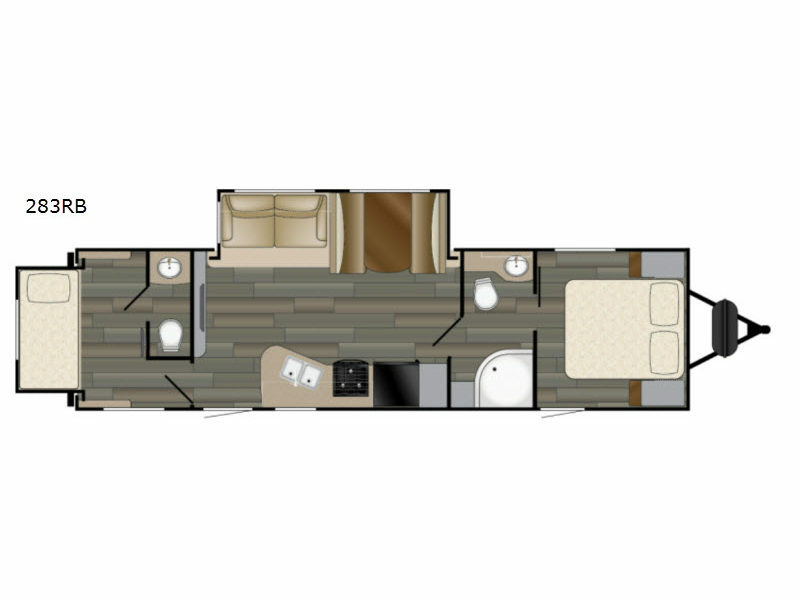 The main living area includes an entertainment center, plus a road side slide out sofa and booth dinette. Both will provide extra sleeping space when needed. Along the opposite side of the slide out you will be able to make meals and snacks in the kitchen area. There is a double sink, three burner range, refrigerator, and a pantry. Heading towards the front you will walk through the full bath. There is a radius shower and linen storage on your right, plus a toilet and vanity with sink on the left side. Slide the bedroom door open to relax on a queen bed with dual nightstands and wardrobes. 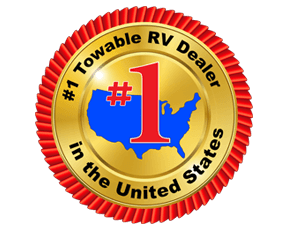 The second entry into the trailer from outside is in the bedroom, plus there is so much more!